I love reviewing Effaclar products from La Roche-Posay because they’re one of the very few brands that know sensitivity is a skin concern and not a skin type. La Roche-Posay Effaclar Purifying Micellar Water is designed to gently cleanse the skin, remove impurities, break-away surface dead skin cells and balance surface oil and water. Sensitive products are almost always very rich and creamy, designed to sooth sensitive skins that are often accompanied by dryness. However, what if, like me, you have normal/combination skin that is also sensitive, huh? Well if you consider sensitivity as being a skin-type then there’s not a lot you can do, but once you address it as a concern as La Roche-Posay do, then we’re on good speaking terms. La Roche-Posay Effaclar Purifying Micellar Water is another in a long line of micellar waters that all pretty much do the same thing, however, the added bonus here is that it helps balance and reduce excess surface oil; this leaves skin smooth, cleansed and shine-free. Apply with cotton pads all over the face and eyes before or after cleansing (I find micellars great for either a pre-cleanse or a tone, it’s up to you) and allow the rest to try away. Be gentle and don’t rub harshly as the formulated chemical exfoliants will do their work just fine by themselves. 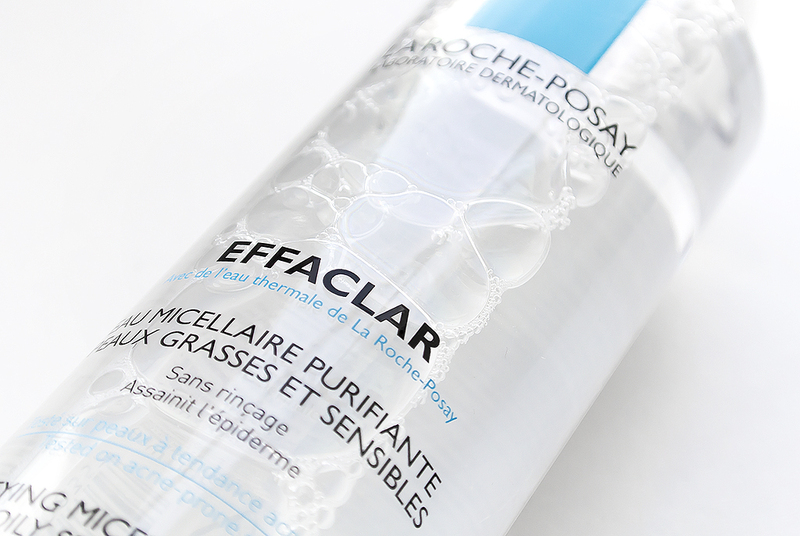 La Roche-Posay Effaclar Purifying Micellar Water is available here for just £8.79 from Escentual, the UK home of most French pharmacy brands (sounds like an advert, I swear that it isn’t). This article first appeared on MANFACE written by Thom Watson. It was published on Saturday 28th December 2013 and was last updated on Monday 3rd April 2017 at 3:17pm. It's categorised under Combination Skin, Exfoliate, La Roche-Posay, Oily Skin, Tone where you'll find more related content.